Useful and important information covering Board Care, Safety, Manufacturing and Warranty. Our boards are manufactured to the highest standards by experts in board shaping and finishing with years of experience. 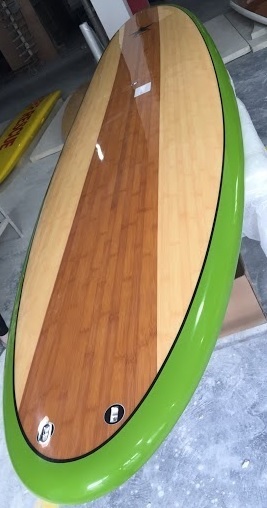 Boards have a high density EPS foam core using epoxy resin with fiberglass, wood / bamboo veneer and wooden stringer along the spine of the board for additional strength. Two or three layers of glassing ? We initially tried three and found the boards too heavy in and out of the water so we reverted to two layers (top and bottom) but reinforced the rails. This is the best compromise we have found for robust boards that are not too heavy. The boards are finished with a gloss polish. 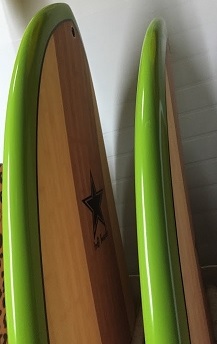 Each board has a three fin set with superior deck grip, a nose camera mount and leash plugs. Boards react to changes in temperature. When it's hot, the inside of the board will expand, and when it's cold it will contract. Most hard boards have an air vent to allow the board to breathe. Indi Boards have an automatic air vent that you do not need to touch unless you are planning to take your board overseas and on a flight, the air vent should be removed to ensure the sudden change in air pressure does not damage the board. The air vent should be stored in a safe place and must be put back into the board before going out on the water. If you take the board out for a paddle with the air vent removed, its likely water will get inside the board which obviously isn't good! It's good practice to keep boards out of direct sunlight when not in use, especially on very hot days. Paddle board bags are a great way to protect the board when not in use. We can supply you with a board bag for additional cost if required. On return from the water, ideally rinse off your board and paddle with fresh water and remove any grit or sand. Check your board for any signs of damage (dings, cracks etc) that may have occurred while out on the water or returning from the water. Take care when moving and handling your board out of the water – we cannot stress this enough. Treat your board as if you are handling something precious, if its very windy, your board will be difficult to handle, especially out of the water. If the wind is too strong, we would not recommend taking your board out. If the unfortunate happens and damage to the board occurs, self-repair kits are available but if damage is extensive, take your board to a qualified repairer. 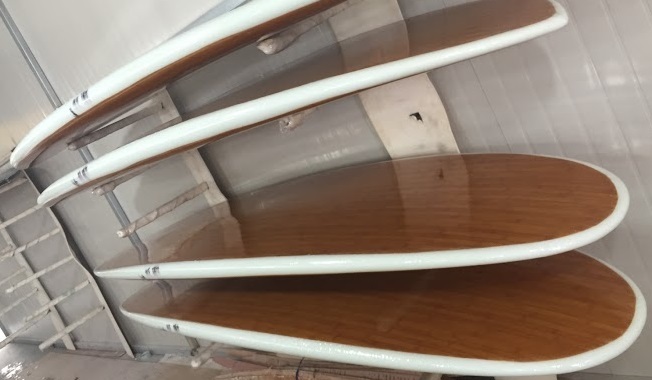 Before going out on the water, its good practice to check your board over by ensuring fins are not loose, that the air vent is secure and there is no physical damage to the board or the paddle. Some paddle boarders use a leash so if they fall off, the board will not drift away. From experience, we strongly recommend using a leash. The weather, rivers, seas and lakes can suddenly change from being calm and fine to strong wind and choppy conditions resulting in a higher chance of falling off the board. Also sea currents and tides can quickly change meaning a risk of drifting out to sea. Essentially, its imperative you use a leash and is of course a must if you are surfing. We have also seen some people being affected by sea sickness when stand up paddle boarding out on choppy conditions, specifically around coastal areas. If you find yourself feeling unwell through sickness, over exertion, sun stroke etc, it is advisable to sit or kneel on the board and try to get somebody's attention (wave arms / paddle) – its important you stay with the board as it will keep you afloat if you get into difficulties until help arrives. Its also advisable to wear suitable clothing such as a wetsuit if you expect to be in the water often but a wetsuit can also be the wrong thing to wear if you are unlikely to fall into the water often (a wet suit may make you sweat and potentially overheat). If you are not a great swimmer and a SUP beginner, ensure you wear a life jacket (even experienced swimmers and paddle boarders wear life jackets). If you are planning to go out on your board alone, ideally inform someone you’re going out and where and how long you will be paddling for. It is a good idea to take a mobile phone in a water proof case in case of an emergency. Finally, ensure you are hydrated, have plenty of fluids and wear sunscreen, be sensible, know your limits. 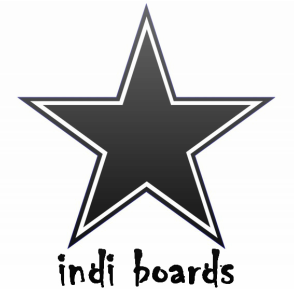 If you have any questions about your new indi board, please do not hesitate to contact us through our indi boards website or message us on our facebook page. 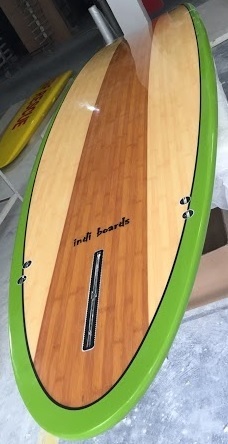 Indi Boards warrants its stand up paddle boards to be free of defects in material or workmanship for the time period of 6 months from the date of purchase. If a board is found defective by Indi Boards, Indi Boards only responsibility shall be limited to refund, repair or replacement of a defective board. Indi Boards will not be responsible for any costs, losses or damages incurred as a result of loss or use of a board. The warranty applies only to Indi Boards stand up paddle boards only and is valid for the original purchaser only. All warranty claims must be accompanied by details of the original purchase including date, value of purchase and the item description. Boards returned to Indi Boards are the responsibility of the customer which includes the cost of shipping products and insurance. Indi Boards have no responsibility for boards during courier / posting from the customer to Indi Boards in Dartmouth. Courier / postal charges are not refundable. Normal wear and tear including improper storage, transportation and handling. Cosmetic issues including discoloured graphics, top sheet dents or chips including excess sun exposure. Storing your board in a board bag for extended periods of time when the board is wet and lack of ventilation. Damage from natural causes, such as strong winds, floods and storms etc. A clear manufacturing defect as determined by Indi Boards and an if required, an independent professional board repairer that are known to Indi Boards. Was the product purchased within six months? Does the damage appear to be the cause of defective materials or workmanship? Does the damage appear not to be caused by impact, abuse, negligence, reactions to solvents, harsh detergents or general wear and tear? Contact Indi Boards through the 'Contact Us' page on the Indi Boards website - we are super friendly and will do our utmost to help and provide a timely response. It is recommended pictures are submitted at the initial stage of discussions to ascertain if a successful claim will be considered or not. If a claim is to be considered, you will need to return the board back to Indi Boards so an accurate assessment of the claim can be made. Pictures alone will not justify a claim.